“Yesterday, we noted that U.S. customers were beginning to report that their pre-orders of the cellular-capable iPad mini models were beginning to ship, with many seeing delivery dates of this Friday, November 16. Friday is also when AT&T is expected to start offering the LTE-capable version of the iPad Mini and the 4th-gen iPad at their retail stores. AT&T will slash $100 of your purchase price if you sign up for a new two-year data plan, which includes a $10/month Mobile Share tablet add-on package. 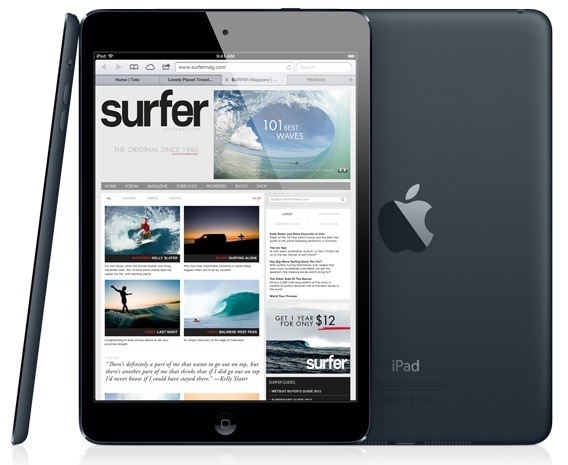 Did you pre-order an LTE version of the iPad Mini? Have you received a shipping notice telling you when you’ll get your device? Let us know in the comments below!